Ms. Frank is a 2006 graduate of the University of Wisconsin-Madison where she studied Classical Piano Performance and Music Education, later earning her M.Ed. in Behavior Analysis. Originally from a small, dairy-farming community in northern Wisconsin, Ms. Frank moved to Nashville to be part of our vibrant growing city. She has spent her career inspiring young musicians as well as working as a Behavior Specialist in the Metropolitan Nashville Public Schools. Ms. Frank is most excited to help grow a rigorous and enriching music program here at Nashville Classical in 2018–2019. Mr. Friedman is a 2006 honors graduate of Yale University where he studied English and a 2008 Graduate of the University of Pennsylvania, where he earned distinction for a Master's Degree in Urban Education. Originally from New York City, Mr. Friedman moved to Nashville in 2011 to start Nashville Classical. Mr. Friedman is most excited to deliver on our sacred promises to families at Nashville Classical in 2018-2019. A fun fact about Mr. Friedman is that he recently took up surfing and attended a surfing school this summer. Ms. Hinch is a 2013 graduate of Middle Tennessee State University where she studied Early Childhood Education. Ms. Hinch moved to Nashville in 1997 from Arizona. Ms. Hinch is most excited to inspire scholars to achieve their personal best at Nashville Classical in 2018-2019. A fun fact about Ms. Hinch is she trained as an amateur boxer and lives on a farm in Joelton. Ms. Jackson is a 2014 graduate of the University of Wisconsin-Oshkosh where she earned her Bachelor's Degree in Elementary Education. In 2018 she earned her Master's Degree from Relay Graduate School of Education. Ms. Jackson moved to Nashville from Wisconsin in 2014 and began her teaching career as a 4th grade teacher, later teaching Kindergarten at NCCS. Ms. Jackson is most excited to teach 5th grade math this year where she plans to instill her love and passion of math into the founding class! A fun fact about Ms. Jackson is that she coached gymnastics for ten years. Ms. Junior is a 2015 graduate from the University of Alabama where she studied English and Social Welfare. She is also a 2018 Graduate from Relay Graduate School of Education where she received a MAT. Originally from Nashville, Ms. Junior is excited to teach in her hometown. She is most excited to watch scholars become great teammates to one another as well as grow into wonderful readers and writers at Nashville Classical in 2018-2019. A fun fact about Ms. Junior is she likes to use her creative side when not teaching and does calligraphy and hand-crafted cards. Mrs. Ly is a 2009 graduate of the University of Tampa. A Nashville native, Mrs. Ly is overjoyed to teach in her hometown. Mrs. Ly is most excited to have her third year with the class of 2030! A fun fact about Mrs. Ly is that she has been to 15 countries over the past 5 years! Ms. Notario is a 2014 graduate of Flagler College where she studied elementary education. Originally from Ft. Lauderdale, Florida, Ms. Notario moved to Nashville in 2015. She is most excited to educate her bright scholars in a loving but rigorous classroom environment. Ms. Paquin is a 2011 graduate of Florida State University where she studied Interior Design. She continued her education at Christian Brother's University where she earned her Master's Degree in Education. Originally from Tampa, Florida, Ms. Paquin moved to Tennessee in 2011. Ms. Paquin is most excited to lead the 3rd Grade Team at Nashville Classical in 2018–2019. Coach Parker is a 2015 graduate of Voorhees College, where she studied heath and recreation. Originally from Nashville, Tennessee, she is excited to teach in her hometown. Coach Parker is most excited about helping to plant educational seeds in the youth of her hometown at Nashville Classical in 2018-2019. A fun fact about Coach Parker is that she loves swimming in the ocean! Ms. Ruscoe is a 2012 graduate of University of North Carolina-Chapel Hill where she studied Public Health. Originally from Asheville, North Carolina, Ms. Ruscoe moved to Nashville in 2012. Ms. Ruscoe is most excited to see our scholars and teachers raise the bar for what is possible at Nashville Classical in 2018-2019. A fun fact about Ms. Ruscoe is she is the loudest cheering fan at any Tar Heel basketball game! Ms. Ryan is a 2012 graduate of Indiana University where she studied Elementary Education. Originally from rural Northern Indiana, Ms. Ryan moved to Nashville in 2015. Ms. Ryan is most excited to continue seeing scholars excel and grow in 2018-2019. A fun fact about Ms. Ryan is that she studied studio art as her minor during undergrad and loves to create in her free time. Ms. Saiyed is a 2016 graduate of the University of Kentucky College of Law and a 2010 graduate of Centre College. Originally from Shelbyville, KY, Ms. Saiyed moved to Nashville in 2010 to teach high school English. Ms. Saiyed is most excited to find new ways to support teachers and families at Nashville Classical. A fun fact about Ms. Saiyed is that she loves to learn to cook foods from all around the world. Mrs. Eisen is a 2011 graduate of George Washington University where she studied Communication and Theatre. After living in Texas, Georgia, Washington, DC, and Alabama, Mrs. Eisen moved to Nashville in 2013. Mrs. Eisen is most excited to watch Nashville Classical scholars outperform Williamson County on the TNReady in 2018-2019. A fun fact about Mrs. Eisen is that she has run a marathon and is training for another one. Mrs. Talley is a 2011 graduate of the University of Michigan where she studied Environmental Science with a focus on Environmental Policy. Originally from Lansing, Michigan, Mrs. Talley started her teaching career in Arkansas. She and her husband moved to Nashville in the summer of 2016. Mrs. Talley is most excited to see young minds grow and inspire each other, and work alongside a dedicated team at Nashville Classical in 2018-2019. A fun fact about Mrs. Talley is that she can pop out her front tooth! Ms. Wong is a 2013 graduate of Vanderbilt University, where she studied Elementary Education and Natural Science. Following graduation, she moved to New Orleans to teach diverse populations in urban charter and public schools. Ms. Wong returned to Nashville in 2016 and is most excited to work with a team of like-minded educators and be a part of the Nashville Classical community. A fun fact about Ms. Wong is that she cheered for the Commodores at Vanderbilt. Ms. Hambrick is a 2016 graduate of Daymar University where she studied Business Management. Originally from Nashville, Ms. Hambrick is most excited to be a positive influence on scholars and staff at Nashville Classical in 2018-2019. A fun fact about Ms. Hambrick is that she enjoys reading. Ms. Putnam is a 2017 graduate of Samford University where she studied Early Childhood Education, Early Childhood Special Education, and Elementary Education. She is originally from Charlotte, North Carolina and moved to Nashville in the summer of 2017. Ms. Putnam is most excited to share her love of learning and watch fourth grade scholars grow at Nashville Classical in 2018-2019. Ms. Eddings is a 2013 graduate of Oklahoma State University where she studied Strategic Communications. Originally from Sperry, Oklahoma, Ms. Eddings moved to Nashville in 2017. Ms. Eddings is most excited to continue building relationships with her students at Nashville Classical in 2018-2019. A fun fact about Ms. Eddings is that she sailed around the world with Semester at Sea. Mr. Maphis is a 2014 graduate of Virginia Commonwealth University where he studied Political Science. Originally from Richmond, Virginia, Mr. Maphis moved to Nashville in 2016. Mr. Maphis is most excited to continue watching the scholars shine at Nashville Classical in 2018-2019. A fun fact about Mr. Maphis is that he has 13 pet fish and loves them dearly. Ms. Woodward is a 2008 graduate of Trinity University where she studied Humanities and Elementary Education. Originally from Washington, D.C., Ms. Woodward moved to Nashville in 2017. Ms. Woodward is most excited to boost scholar achievement and confidence at Nashville Classical in 2018-2019. A fun fact about Ms. Woodward is that she taught overseas for three years. Ms. Goodwin is a graduate of Middlebury College where she studied International Studies; she received a Master of Education degree from Lipscomb University in 2015. Originally from Washington D.C., Ms. Goodwin moved to Nashville in 2014. Ms. Goodwin is most excited to work with the most dedicated, passionate teachers in Nashville in 2018-2019. A fun fact about Ms. Goodwin is that she invented a sandwich for a deli in East Nashville. Mrs. Baker is a 2015 Graduate of Hanover College where she studied Elementary Education. Originally from Louisville, KY, Mrs. Baker moved to Nashville in August 2016. Mrs. Baker is most excited to develop relationships with staff and families at Nashville Classical in 2018-2019. A fun fact about Mrs. Baker is that she loves to experiment in the kitchen! Ms. Baxter is a 2005 graduate of the University of New England where she studied Elementary Education. Originally from Pittsburgh, Pennsylvania and most recently from West Palm Beach, Florida, Ms. Baxter moved to Nashville in 2015. Ms. Baxter is most excited to read great books with the fourth graders at Nashville Classical in 2018-2019. A fun fact about Ms. Baxter is that she is an expert in '90s pop music. Ms. Blackburn is a 2013 graduate of Clemson University where she studied Elementary Education and Vocal Music. Ms. Blackburn received her Master's Degree from Lipscomb University in Teaching, Leading, and Learning with emphasis on Special Education. Originally from Columbus, Ohio, Ms. Blackburn moved to Nashville in 2013, transferred to South Carolina in 2015, and decided to move back to Nashville in 2016 because she missed it terribly! Ms. Blackburn is most excited to help teachers at Nashville Classical in 2018-2019. Ms. Brown is a 2011 graduate of the University of Phoenix where she studied Business Management; she is currently pursuing her Master of Arts in Education K-6. Originally from Nashville, Ms. Brown is excited to teach in her hometown. Ms. Brown is most excited to assist scholars in making history by achieving their academic goals at Nashville Classical in 2018-2019. A fun fact about Mrs. Brown is that she loves to dance but admits she is not a good dancer. Ms. Chaffin is a 2015 graduate of Sewanee: The University of the South where she studied International Studies and Psychology. 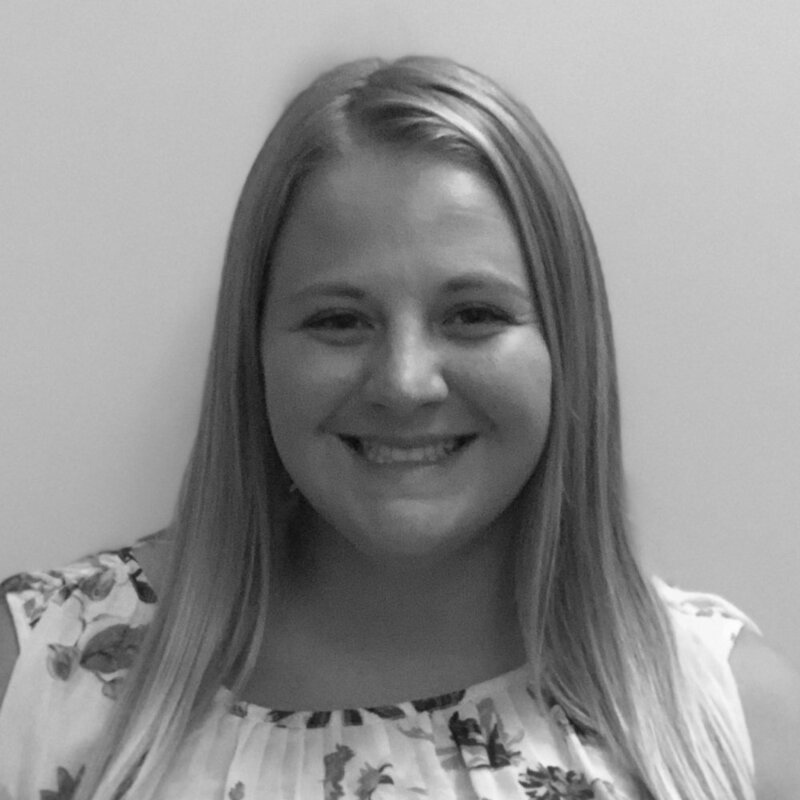 Originally from Oklahoma City, Ms. Chaffin moved to Nashville in 2015 and taught Kindergarten for two years while getting her Master’s in Education at Lipscomb University. Ms. Chaffin is most excited to engage with our Nashville Classical scholars and families in 2018-2019. A fun fact about Ms. Chaffin is that she played college soccer. Mr. Christian is a 2015 graduate of Morehouse College where he studied Political Science. Originally from Atlanta, Georgia, he has been a resident of Nashville since gladly joining the NCCS team last summer. Mr. Christian had blast during his first year of teaching last year, and this year is most excited to meet his students and help them reach their potential and beyond academically. A fun fact about Mr. Christian is that this summer he drove Lyft so that he could take a trip to Cuba! Él es Cubano ahora. Mr. Collins is graduate of University of Tennessee at Chattanooga where he majored Psychology with a minor in Education. Originally from Chattanooga, he moved to Nashville to explore opportunities to implement behavior modification programing to schools, churches and social service agencies. Mr. Collins is most excited about helping scholars reach their dreams by becoming more disciplined in 2018-19. A fun fact about Mr. Collins is that he is the father of 2 scholars attending Nashville Classical. Mme. Cooper is a 1993 graduate of Wofford College where she studied French. Originally from South Carolina, Mme. Cooper moved to Nashville in 2000. Mme. Cooper is most excited to help scholars speak French and love the diversity and beauty of the French-speaking world while at Nashville Classical in 2018-2019. A fun fact about Mme. Cooper is that her son goes here and that you will probably see her riding her bike to school with him. Ms. Davis is a graduate of Nashville State Community College, where she studied Social Work and Early Childhood Development. Originally from New York, Ms. Davis moved to Nashville in the late '90s with her family. Ms. Davis is excited to work at Nashville Classical this year, and a fun fact about her is that she loves working with special needs children. Mr. Del Casino is a 2015 graduate of the University of Pittsburgh where he studied English. Originally from Nashville, Mr. Del Casino is excited to teach in his hometown. Mr. Del Casino is excited to develop great relationships at Nashville Classical in 2018-2019. A fun fact about Mr. Del Casino is he is a two-time collegiate national champion in Ultimate Frisbee. Ms. Devereux is a 2016 graduate of The University of Missouri - Saint Louis where she studied Elementary and Special Education. Originally from Saint Louis, she moved to Nashville in 2018. Ms. Devereux is most excited to make history at Nashville Classical in 2018-2019. A fun fact about Ms. Devereux is each year, she reads the same number of books as the number of years she has been alive! Ms. Duffy is a 2015 graduate of Duke University where she studied Biology and Psychology. Originally from Houston, Ms. Duffy moved to Nashville in 2015 for her Masters in Education at Vanderbilt University. Ms. Duffy is most excited to meet all of the Nashville Classical scholars! A fun fact about Ms. Duffy is that she is a dual citizen of America and England. Ms. Garofalo is a 2014 graduate of Syracuse University where she studied early childhood education and public relations. Originally from New York, Ms. Garofalo moved to Nashville in 2016 to pursue her Master's in Special Education. Ms. Garofalo is most excited for her scholars become readers, writers, and mathematicians at Nashville Classical in 2018-2019. Ms. Garry is a 2011 graduate of Miami University where she studied Diplomacy and Foreign Affairs. Originally from Ohio, Ms. Garry moved to Nashville in 2016 to pursue her M. Ed. in Special Education at Vanderbilt University. Ms. Garry is most excited about supporting all scholars and working with families at Nashville Classical in 2018-2019. Ms. Garry loves to spend time with her dogs Leia and Nola. Mrs. Gessouroun is a 2010 graduate of the University of Nebraska where she studied Psychology. She continued her education at Rockhurst University where she earned her Master’s Degree in Education. Originally from Lincoln, Nebraska, Ms. Gessouroun moved to Nashville in 2016. Ms. Gessouroun is most excited to get to know Nashville Classical scholars and their families in 2018-2019. A fun fact about Ms. Gessouroun is that she has a black lab named KC. Ms. Harley is a 2013 graduate of Elmhurst College where she studied Elementary Education and English. Originally from Chicago, Ms. Harley moved to Nashville in 2016. Ms. Harley is most excited to get kids invested in reading rigorous texts at Nashville Classical in 2018-2019. A fun fact about Ms. Harley is that she studied Medieval and Renaissance literature at Oxford University for a semester abroad in college! Ms. Lanigan is a 2016 graduate of Sewanee: The University of the South where she studied Environment and Sustainability. Originally from Chicago, Ms. Lanigan moved to Nashville in 2016. Ms. Lanigan is most excited to learn and grow as a teacher and a teammate at Nashville Classical in 2018-2019. A fun fact about Ms. Lanigan is that she played softball at Sewanee. Ms. McGahan is a 2012 graduate of Auburn University where she studied Elementary Education. 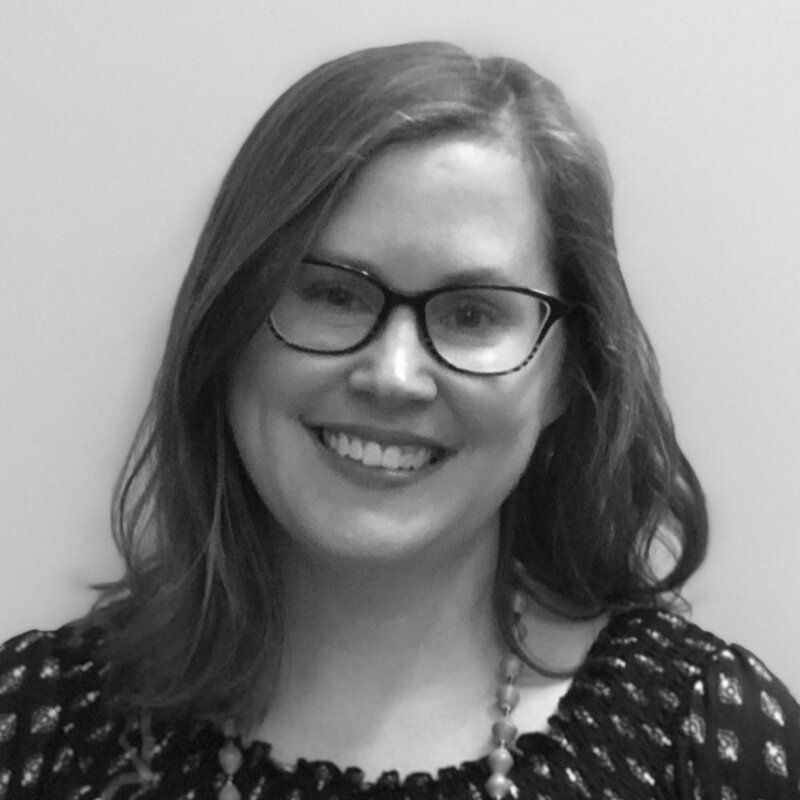 Originally from Birmingham, Alabama, Ms. McGahan moved to Nashville in 2018. Ms. McGahan is most excited about building relationships with her colleagues and students at Nashville Classical in 2018-2019. A fun fact about Ms. McGahan is the she went bungee jumping in Greece! Ms. McWhorter is a 2012 graduate of Middle Tennessee State University where she studied Psychology. Originally from Chattanooga, TN, Ms. McWhorter moved to Nashville in 2008. Ms. McWhorter is most excited to begin her teaching career surrounded by great peers at Nashville Classical in 2018-2019. A fun fact about Ms. McWhorter is that she loves traveling and has a goal to visit all 50 states. Mr. Notario is a 2016 graduate of Florida Atlantic University where he studied Interdisciplinary Studies. Originally from Florida, Mr. Notario moved to Nashville in 2018. Mr. Notario is most excited to grow as a teacher and have a positive impact on the scholars at Nashville Classical in 2018-2019. A fun fact about Mr. Notario is that he is a musician. Ms. Romero is a 2018 graduate of Trevecca Nazarene University, where she studied Psychology. Ms. Romero has lived in Nashville for most of her life and is most excited to be working with Nashville Classical's Spanish-speaking families. Ms. Jazz is a 2001 graduate of The Florida State University, where she earned a Bachelor of Fine Arts in Dance; in 2005 she graduated from The University of West Florida, where she earned a Master’s in Public Administration with an emphasis in Non-Profits. Originally from Niceville, Florida, Ms. Jazz recently moved to Nashville! Ms. Jazz is most excited to share her passion for Dance by inspiring the students of Nashville classical in 2018-19. A fun fact about Ms. Jazz is that she can really MOONWALK! Ms. Schwartz is a 2016 graduate of The University of the South: Sewanee where she studied English Literature and Russian Language. Originally form Austin, Texas, Catherine moved to Nashville in 2016. Ms. Schwartz is most excited to learn and grow with everyone at Nashville Classical in 2018-2019. A fun fact about Ms. Schwartz is that she performs in Improv comedy groups!